Set pieces regularly bring in good points in fantasy football. Here are the set-piece takers for the Champions League 2018/19. 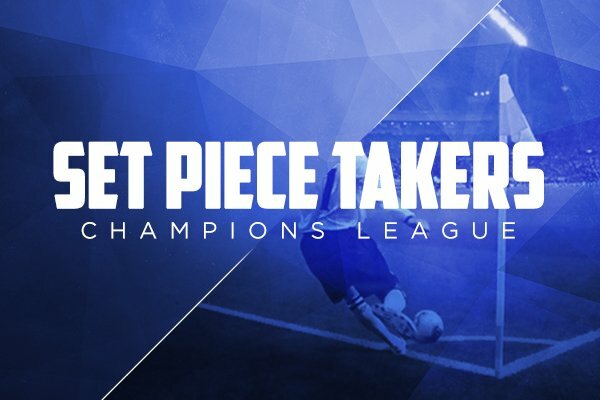 Set-Piece Takers Champions League 2018/19: These tables show you the expected set-piece takers for each of the 2018/19 Champions League teams. They are based on last season’s stats, some online stats, the pre-season friendlies and, for new signings, whether the player was responsible for set pieces at his previous club. The list will be updated as new champions league trends become apparent. If you think any of the information or the list of players is not correct, leave your comment or send a Tweet to @11Heroes. Set-piece takers are of great importance in both daily fantasy and seasonal fantasy: Daily vs Seasonal Fantasy Football Explained. Assists are almost as valuable. It’s not just important to look for players who are responsible for their team’s set pieces, it is also worth taking a look at the statistics to find out which teams score goals from set-piece situations! If you can not decide between two players, you should always opt for the set-piece taker, as these players bring more points potential to your team. For teams with strong set-piece takers, it’s also worth taking a look at defensive players who are known to be good in the air, these are also very valuable! Good luck with the Fantasy Champions League Tournaments.